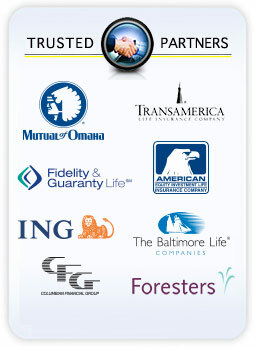 Baltimore Life is a life insurance company that has been serving middle class Americans for 130 years. With licensed agents in 49 states and the District of Columbia, Baltimore Life insures more than 300,000 people, families and companies in the United States. Baltimore Life has a B++ (Good) rating by A.M. Best for operating performance and consolidated financial condition, and also has a reputation for being a company of integrity and service. The company is founded on making a positive difference in people’s lives through insurance coverage and great customer service. A variety of insurance options are available to you – a qualified representative will guide you to the best plan for you – one that meets your budget and coverage needs. For more information about Baltimore Life and the products we offer through Family Protection Center, fill out the form or call today to speak to a qualified representative and get your free quote.